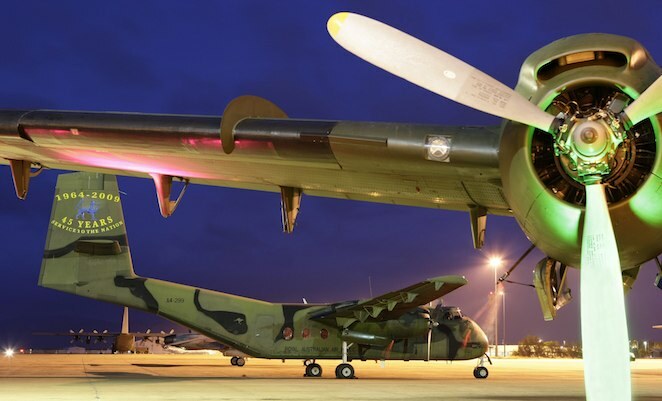 RAAF Caribous are set to return to the skies with Defence announcing that two of the aircraft are being acquired by HARS (the Historical Aircraft Restoration Society), and seven going to Brisbane based Amrock Aviation. The Illawarra based HARS will preserve its two Caribou in flying condition, with the support of Australian Aerospace, which provided deeper maintenance and through life support for the aircraft in RAAF service. HARS is also acquiring an additional propeller, no fewer than 15 engines and two spares packages. “HARS’s work to preserve Australia’s flying aviation heritage will ensure that future generations can see the Caribou in action,” HARS president Bob De La Hunty said. The Caribous will operate from HARS’s Albion Park base alongside its extensive collection of flyable historic aircraft, including Lockheed Constellation ‘Connie’ and Lockheed Neptunes and Douglas DC-3s/C-47s. Meanwhile, little known Brisbane company Amrock Aviation will use its Caribous for humanitarian aid missions to Papua New Guinea and the Solomon Islands, according to Defence. Further, Caribou propellers will be given to Upwey RSL (Victoria), Clarence City Council (Tasmania), Caboolture Warflight and Heritage Museum (Queensland), Narromine Aviation Museum (NSW), Dorrigo RSL (NSW), Northampton RSL (WA) and Redlands RAAFA (Queensland).